As we head into Summer (depending which side of the world you’re on), we naturally start thinking more about frozen treats. 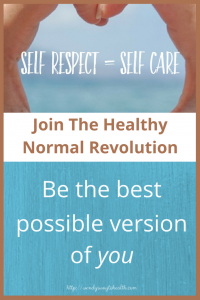 So I thought it was time to give you some healthier options. 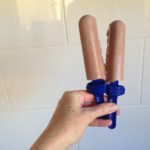 These choc banana popsicles remind me of our Aussie Paddle Pops, so kids and adults alike are going to love them! They’re made with simple, wholesome ingredients. If you search the internet, you’ll find plenty of dairy free or sugar free ice cream recipes. I’ve tried a couple and in my humble opinion, I don’t think they’re worth the effort unless you have an ice cream maker. It doesn’t seem to matter how many times you stir the mixture during the freezing process, you just don’t get a very good result without an ice cream maker. So let me share some much simpler ideas with you here. 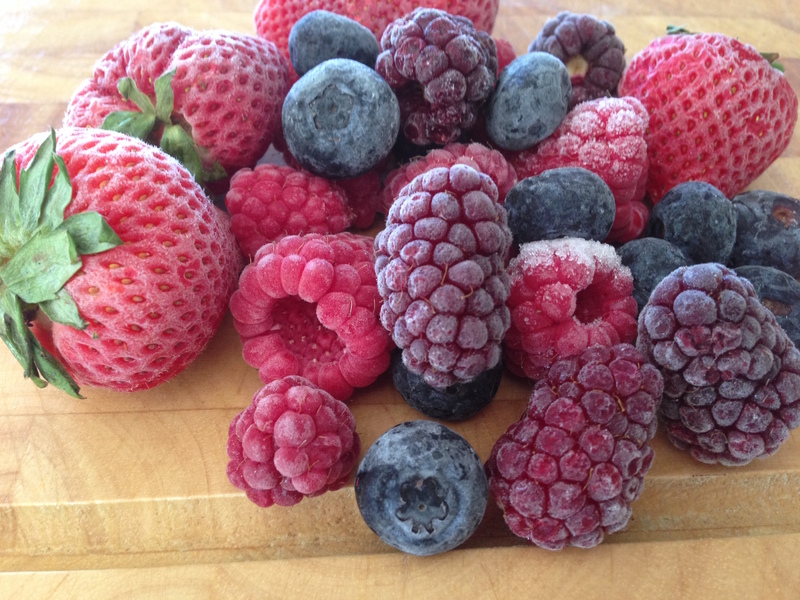 One of the easiest ways to make a healthy frozen treat is to simply blend up frozen fruit. 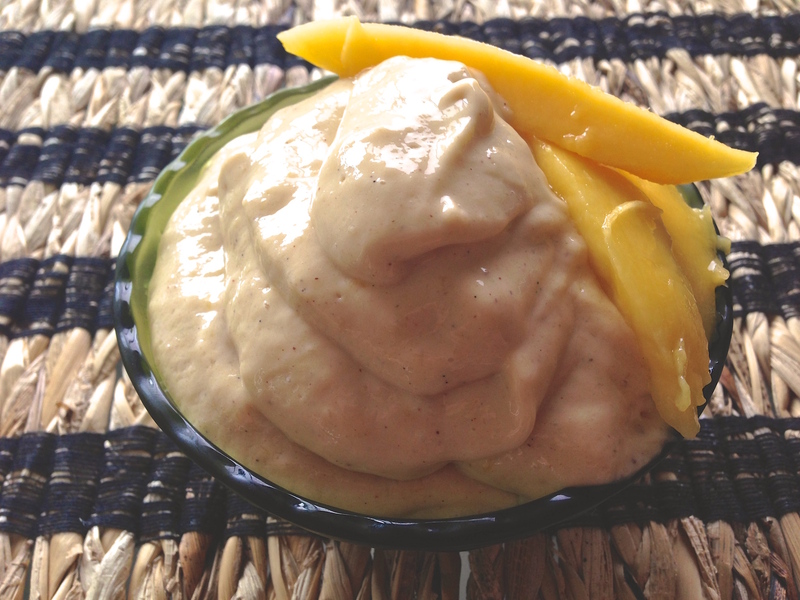 Bananas work very well, as do berries, watermelon, pineapple and mangoes. You can probably use most fruits as long as you follow a couple of basic common sense rules. The most important thing you need to do is prepare the fruit before you freeze it – that means, peeling, hulling, removing stones, pips etc, washing and chopping it. That might sound obvious, but I know people who haven’t peeled their bananas first and the first time I froze a punnet of strawberries I forgot about hulling them. It wasn’t a disaster tho, I just had to take the time to partially defrost them so I could hull them and then they were good to go! You can buy frozen dessert makers from department store chains like Kmart, Big W and Target very cheaply – I have one that does a pretty good job. But you don’t really need one, a powerful blender or food processor will do the job just as well. As long as you remember to keep a supply of frozen fruit in your freezer, you’ll always have a fast, healthy treat or dessert on hand. You’ll find my easy BANANA NICE CREAM recipe here. I highly recommend experimenting with combining different fruits for different flavours and adding ingredients like yoghurt, honey, peanut butter or ricotta cheese for a creamier consistency. You can also add some texture and crunch with chocolate chips, nuts, granola, etc. The other great way to use frozen fruit is to make delicious fruit icy poles and popsicles. You can buy the moulds from department stores and kitchen shops. 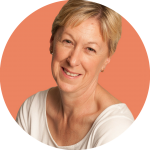 Making your own will save you buying the commercial ones that are full of added sugar, artificial flavours, colours and other nasties. The simplest icy pole recipe is to squeeze a bag of fresh oranges, pour the juice into your moulds, and freeze. Again, I recommend experimenting with fruit and fruit juice combinations and you will get some recipes with your moulds when you buy them. Remember that most juices you buy will have added sugar. They may also contain preservatives, colours and/or be made from reconstituted powder. So it’s worth the effort of squeezing the juice yourself, to keep your icy poles and popsicles lower in sugar and generally healthier. 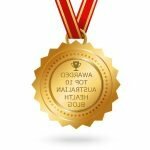 I really hope that you enjoy experimenting with the ideas that I’ve shared. 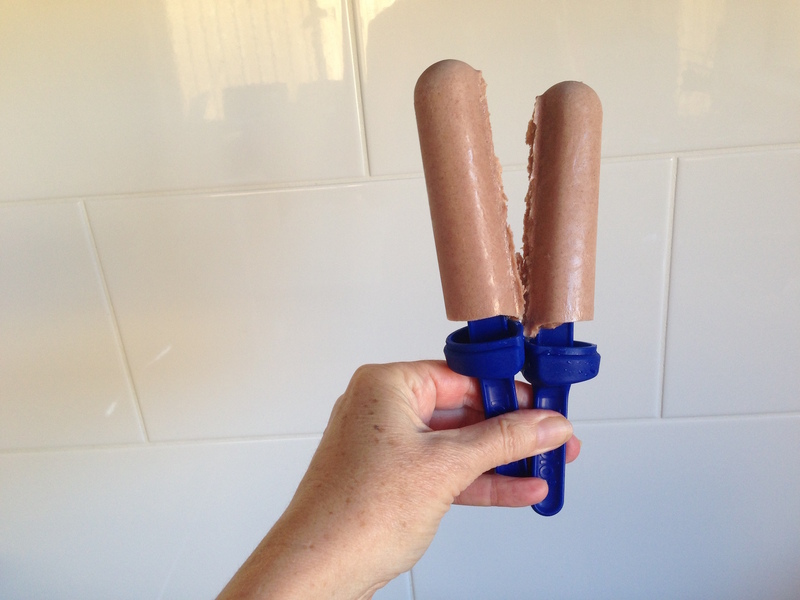 Now here’s my choc banana popsicle recipe. Share your pics on social media. 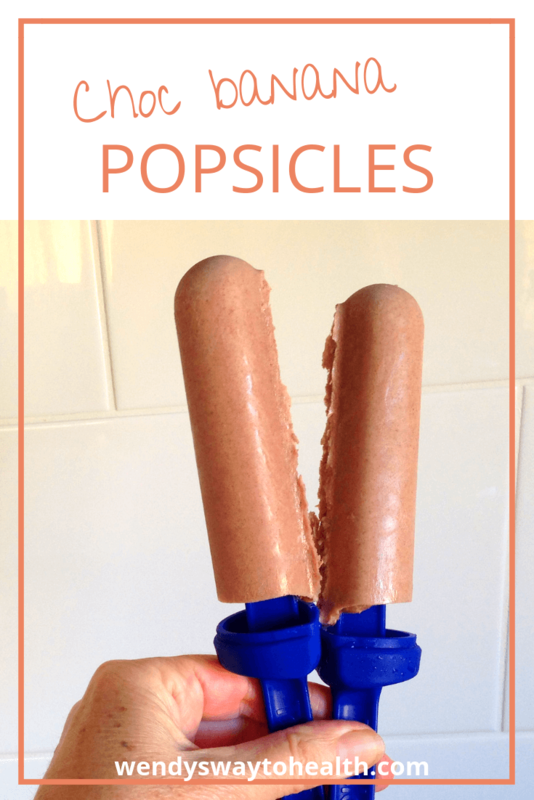 I’m @wendyswaytohealth on Instagram and let me know if you think they’re like Paddle Pops! 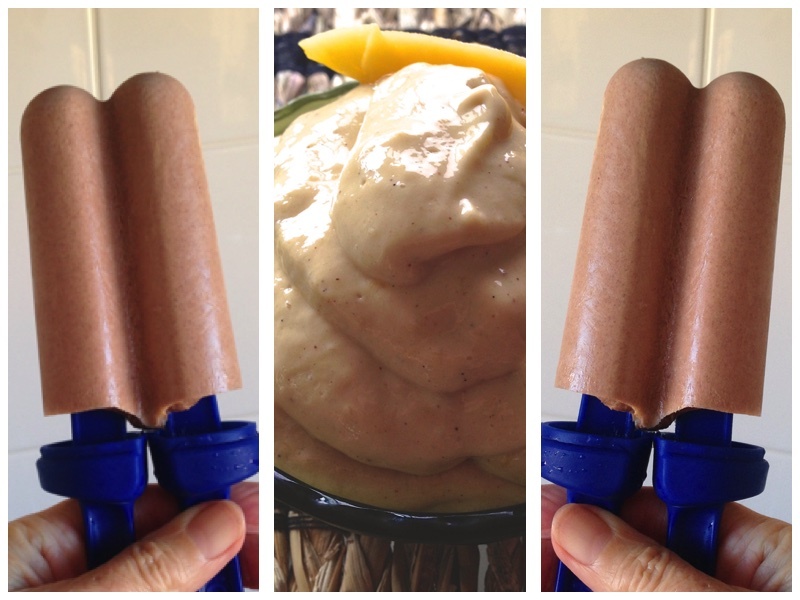 Try these choc banana popsicles for a healthier version of paddle pops! Place all ingredients in a blender or food processor and blend until smooth and fully mixed. 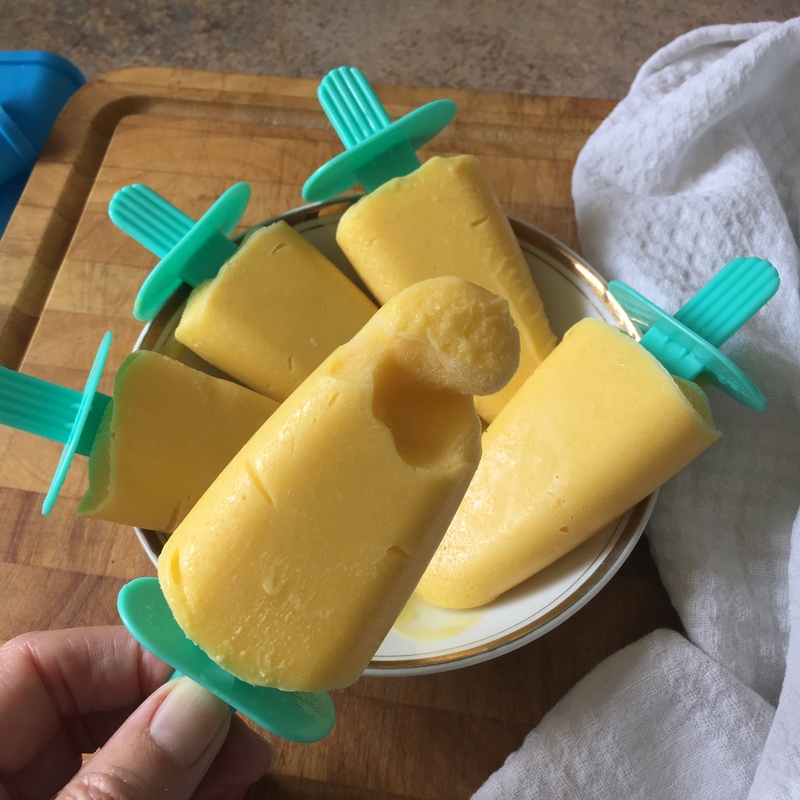 Pour mixture into popsicle molds, and place in the freezer to set. Extra cacao/cocoa powder can substituted for protein powder. To remove from moulds, run under warm-hot water for a few secs. These are really yummy, quick to make and good for you too!